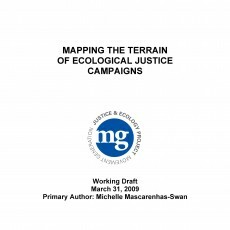 March 2009: This document puts forth several options for coordinated action that groups working with Movement Generation could take up to advance ecological justice. Tap dreams: Who controls what we drink? 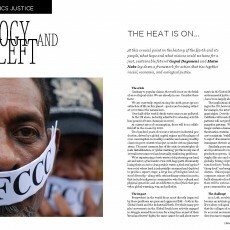 June/July 2008: At this crucial point in the history of the Earth and its people, what hope and what visions could we have for a just, sustainable future? Gopal Dayaneni and Mateo Nube lay down a framework for action that ties together racial, economic, and ecological justice.